Marvel Avengers Alliance Guide: Chapter 11 Mutant Mayhem is now available. 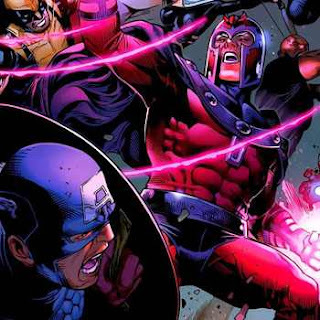 "Magneto has declared Manhattan a mutants-only nation. New York's always been a little weird' but this is taking it too far"
Acquire a total of 151 Story Mastery Stars / Complete missions to add points to your cumulative score. Achieve a high enough score to earn a new Mastery Star! MISSION 2 HYDRA for Humans! "Hydra's going back to its roots. They want to cleanse the world of Untermenschen...and this time they mean mutants." "We might have solved the mystery of the test subjects once and for all, but with that answer comes more questions. What is the Circle of Eight?" Complete 1 Star Mastery in Chapter 11 - Mission 3 / Complete missions to add points to your cumulative score. Achieve a high enough score to earn a new Mastery Star! chapter 11 mission 5 have problem to exit map, is there any solution? chong: have the same problem.